Often times we open up the New Testament and read one of the letters thinking that Paul (or Peter, etc) wanted to write a theological pamphlet and send it to whoever would read. Maybe that day Paul was interested in atonement or communion or some other doctrine. So he got to writing his essay, put it in an envelope, and headed to his nearest post office. While the authors certainly want to be clear on these deeply theological issues, what prompted the letters was very different. Jesus Christ came to live among a fallen people. He revealed himself to be the Son of God who was ushering in the Kingdom. Jesus performed miracles and taught about new ways of living. He came fulfilling the law and the prophets. Then he went to the cross. Jesus died and then was raised on the third day and continued to open up his disciples minds to understand the Scriptures and how they relate to him. After forty days Jesus ascended to Heaven and gifted his people with the Holy Spirit. Those early believers, if they truly believed this, must have had questions. It was a mixed group of Jews and Gentiles who wondered what practices of the Old Testament should continue? In what ways should new believers be brought into the community? How did Jesus fulfill the law–did he end it or make it more demanding? What does God want me to do? What if we aren’t good enough and sin? How do I treat others who sin against me? What does the future hold? Is Jesus coming back and if so, when? If Jesus has defeated sin and death why are people still dying? If Jesus has authority over all powers why do we still suffer? How do we relate to those who are making us suffer? What is our purpose? When you start to understand the context of the early church the letters that were written to them become more energized. The letters weren’t textbooks. They were compassionately written messages to churches needing help and guidance. They were life-giving. As you read them I hope you see how vital they were and how vital they still can be for the church, a church always in need of being reformed according to our Scripture. Should Paul Get Paid for the Work that He Does? Paul appears to open this ninth chapter defending his standing as an apostle, citing his encounter with Jesus in Acts 9 and the work that God is doing through him in this church in Corinth. As an apostle Paul has certain rights. This theme of rights carries us from chapter eight and the discussion of food offered to idols, where the right was to eat meat. Here the right of Paul, as an apostle, is to be able to earn a living from his preaching of the gospel. He makes his argument via parable (soldier, shepherd, thresher) about those whose work provides for them, and he then makes arguments from scripture about an ox that is not muzzled when treading grain. More than the ox, Paul says God is concerned with us. 1 Corinthians 9:9b-10 says, “Is it for oxen that God is concerned? Does he not certainly speak for our sake? It was written for our sake, because the plowman should plow in hope and the thresher thresh in hope of sharing in the crop.” Paul concludes that those who work for the gospel have a right to earn a living off of that work. As much as Paul argues for his right, he then turns around and says he has not made use of his right. Why? He wants to present the gospel free of charge. 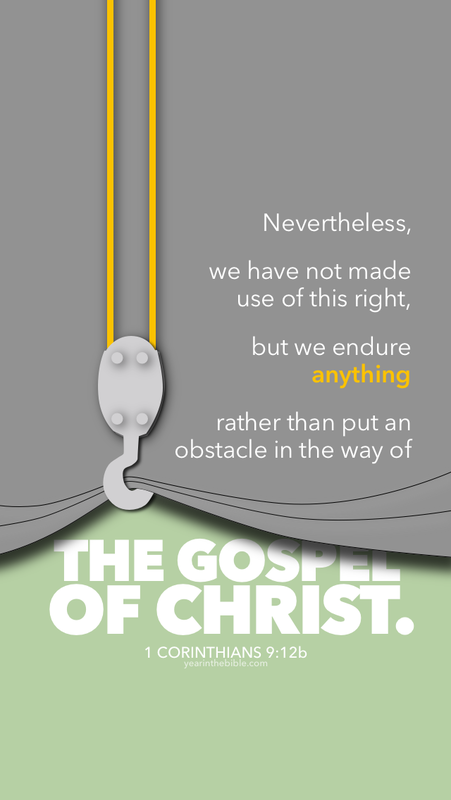 He doesn’t want to put any obstacle in the way of their hearing the good news of Jesus Christ. It is another example of sacrificing a right in order to do something greater. I’d love to hear your thoughts on preachers being paid. Pros and cons. Advantages to being a “tentmaker” or being financially free to focus solely on the ministry? Thoughts? Paul continues in chapter nine on the theme of rights and freedoms, and again stresses that in this case he has given up his right. Instead of demanding support from Corinth, he labors for free among them doing so because he is willing to sacrifice his right in order to better preach the gospel of Jesus Christ. Was Paul married or single? Ken Bailey, Paul Through Mediterranean Eyes. 204. I thought this was pretty convincing. What do you think? Whenever I think of the word steward I think of the Lord of the Rings. In Lord of the Rings there is a character whose position is the Steward of Gondor. 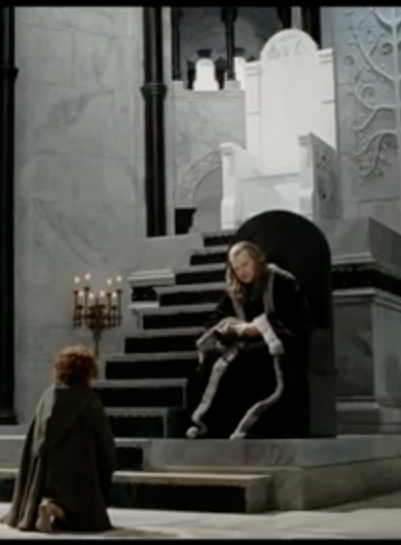 His job is to be the caretaker of his city, Gondor, in the absence of the true king. What I love about the concept of steward is that it is both, at the same time, a position of great authority and great humility. Paul speaks about his role as a steward of God’s mysteries and as such he has authority among the churches. But his authority is completely foreign to him–it is not his own. He is not there to teach of his own wisdom. He preaches the cross. Paul doesn’t go to the churches as he sees fit, rather he goes where God has called him. So as a steward he has power, yet it is humble through and through, for it is the power of God that he is entrusted with. This is why Paul goes on in this chapter to say that he isn’t accountable to the church. A steward must be found faithful, but it is a faithfulness to the one who has given the power. Paul is a steward of the mysteries of God, and he is then accountable to God. God is the one who judges faithfulness. The churches do not judge him, Paul himself won’t even judge. He wanted what wasn’t his to have — the big throne. Going back to Lord of the Rings for a moment, the character ends up getting into trouble because he is not respecting the position he has and seeks to claim more power than is due to him. He wants to go beyond the authority he has as steward and rule on his own. He wants to occupy the throne of the king. In doing this he is not found faithful. This is just what Paul is seeking to avoid. In verse six as he writes, “I have applied all these things to myself and Apollos for your benefit, brothers, that you may learn by us not to go beyond what is written, that none of you may be puffed up in favor of one against another.” A steward that goes beyond what is written is going beyond the role of steward. It is dangerous territory of pride and ego. That is the downfall of the steward in the Lord of the Rings. Let this then be our sacred rule, to seek to know nothing concerning it, except what Scripture teaches us: when the Lord closes his holy mouth, let us also stop the way, that we may not go farther. God has entrusted us with much. He has given us his word but has also given each of us the life we live. To be found faithful we must seek to be good stewards, humbling acknowledging that all we have is truly God’s. We must also as stewards humbly accept what God has shown us and how he directs us, and make it our aim to trust his will, not looking to go beyond his perfect wisdom. After all, as we’ve learned in 1 Corinthians, our wisdom cannot compare to his own. God’s wisdom in the cross of Christ may seem foolish, but it is the power of God; it is our righteousness, sanctification, and redemption. Yesterday we focused on what was hindering the Corinthians’ understanding (their jealousy and strife) and what it led to was not only the divisions in their church, but a misunderstanding of who people like Paul and Apollos were. Paul describes their problem and then turns attention to himself, and Apollos, briefly. What then is Apollos? What is Paul? Servants through whom you believed, as the Lord assigned to each. 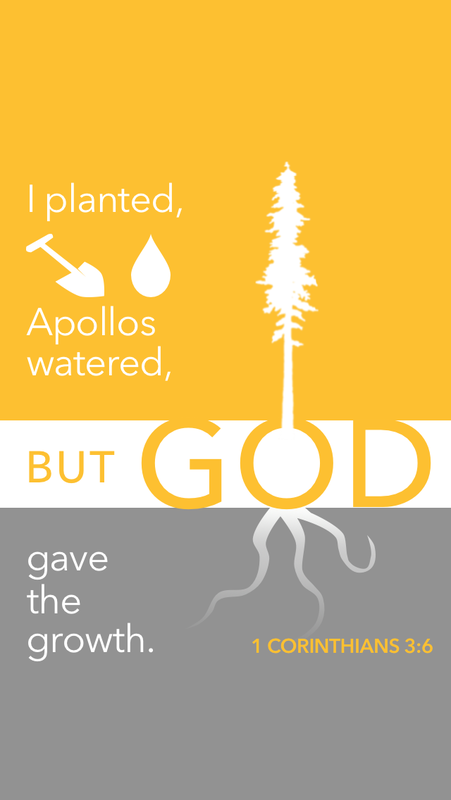 I planted, Apollos watered, but God gave the growth. So neither he who plants nor he who waters is anything, but only God who gives the growth. He who plants and he who waters are one, and each will receive his wages according to his labor. For we are God’s fellow workers. You are God’s field, God’s building. What do we learn about these two in this passage? Who are they? What is their job? How should the church view them? First, we see that they are servants. Being a servant, obviously, means that they are not masters. The Corinthians had elevated them and thought Paul and Apollos were to be played off each other as though they were rivals, but they are both servants who in fact are co-laborers, working together. Are you a gardener? I’m sure you then know that there aren’t good ways to compete over one plant. If one plants and one waters, you can’t do so with different aims. You have the same goal. Paul is not at odds with Apollos. They both want to see growth. They are both called by God to their task. They both serve for God’s glory. We also learn that as much as Paul or anyone labors, they do not claim credit for the work that God accomplishes. 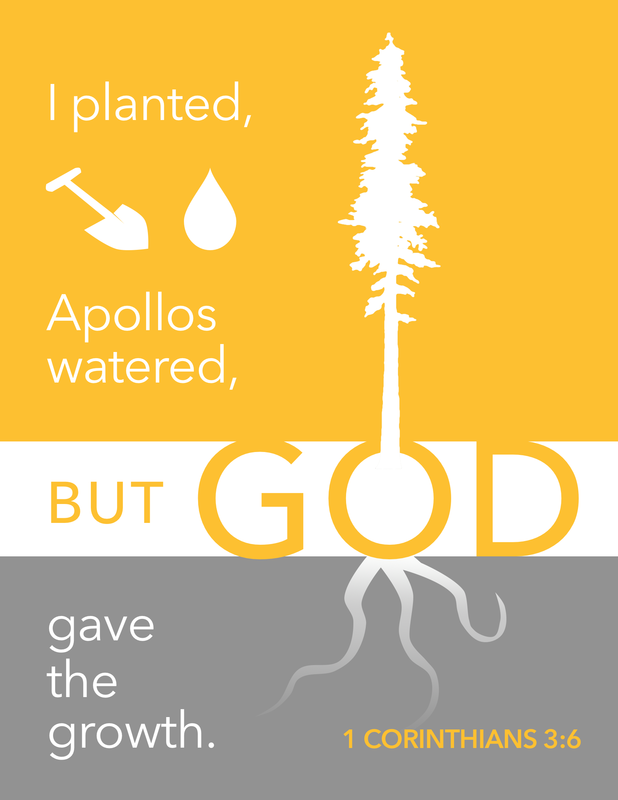 He may have planted, but just as importantly, Apollos watered, but neither compare to the growth that God achieves. Paul is not anything but a servant of God. He is a tool God has used. All glory should pass right through him and be directed at the only one worthy. He has had the privilege of being called to this people to minister to them, as has Apollos. But Paul is telling them that God was at work then, God is at work now, and God is the one who will continuously give the growth. What Hinders Our Understanding God’s Truth? Earlier in chapter one Paul mentions that the church had been having issues that caused divisions. Some were claiming to be of Paul, some followed Apollos, and still other Cephas or Christ. Having dealt with it briefly in the first chapter, Paul returns to it now in chapter three of 1 Corinthians. 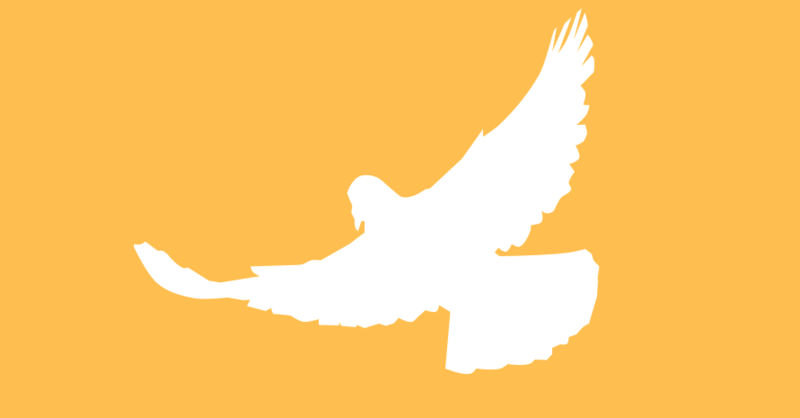 With two homilies on the wisdom of God (in the cross and through the Spirit) firmly in place as a foundation, Paul is ready to take a second look at how his readers should see Paul, Apollos and Cephas. The Corinthians thought that when they declared themselves to be “of Apollos” or “of Paul” that they were making complimentary statements about their champions. No, replies Paul, be creating these divisions you are saying nothing about us–you are talking about yourselves, and what you are is not flattering! Do not imagine that we are pleased! Beginning in verse five he begins to try to set them straight with two short parables. There are some great books that defend the Christian faith that I’ve personally enjoyed in the past. They could be grouped broadly into the category of “apologetics.” This name isn’t based on our saying “sorry” for our faith, but the word relates to giving a defense. While I certainly believe that there are reasons to believe in Jesus Christ and that our Bible is a trustworthy book, it is important to remember that we cannot argue someone into faith. We shouldn’t present some sort of bullet point list to someone, then demand that she believe.  This chapter goes on about how what we now know–the wisdom of God that we see in the cross of Jesus Christ–is not based in our own intellectual achievements. It is not because I’m smart enough that I’m a Christian. Likewise it is not because someone is dumb that they may not believe. The eternal purposes of God are known to us because they have been revealed to us by the Spirit of God. We can’t even boast in our knowing because it is a gift of God’s grace. Our coming to believe and understand is a work of God’s through and through. We ought to love God with our minds, seek to know him better, to discern the mind of Christ, and speak ably about Jesus to those around us, always giving a reason for the hope we have (1 Peter 3:15). But we do not do this as though everything hinges on my skillful argumentation. Christianity is not an anti-intellectual faith, but it is not a faith dependent on advanced understanding and academic achievement. Our faith is dependent on the working of the power of God.